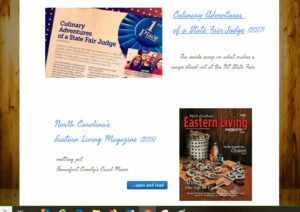 Home » Cooking ~ Recipes » apples, cook & eat nekkid, cook'n with NC goodies, crock pottery, slow cook'n & instant pots, farms & farmers' markets, honey, Mindless Mutterings from the Teacher's Lounge, published, sensational sides	» Fall = Applesauce! Fall is in the air… well kinda sorta, now that fresh North Carolina apples are making their debut at farmers’ markets! And with that, comes comfort foods, like applesauce. Who doesn’t love that? It makes such a quick and simple healthy side dish for so many things, including breakfast! What could start your day off better than some NC maple or brown sugar pork sausage with a side of freshly made applesauce? Check out this site for lots of great information about North Carolina apples! And because you can crock a pot so fast, unless you really want to, there’s no need to do huge batches and can. Just make some fresh every week or so as you need in your house! This recipe is so easy… you can have it in the pot in 5 minutes and go on about your business. 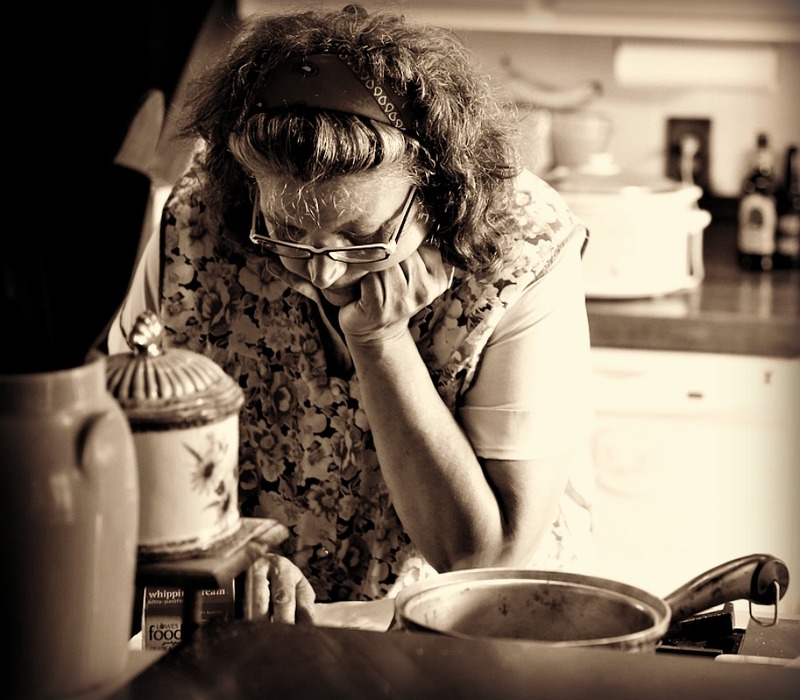 It takes care of itself… wouldn’t it be great if all our foods did that? 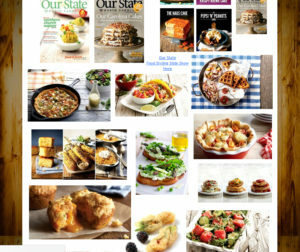 My applesauce is featured in this month’s September issue of Carolina Country Magazine but you can find it printable below. As you will see in the notes, there are easy ways to vary this basic recipe. 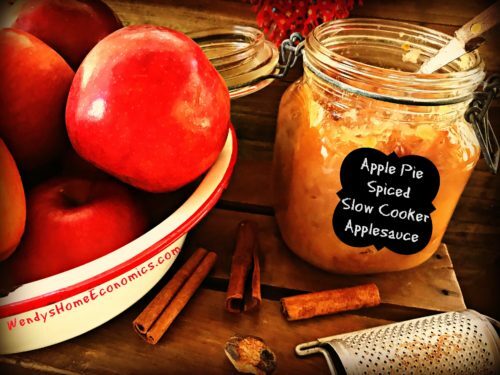 You can use your favorite pie spice… and I really like to use the Georgia Peach Spice from Savory Spice Shop. And here’s a helpful hint... for those of you with small households, I highly recommend getting yourself a mini crock pot (or two) for cook’n. I have a couple and cook in them several times a week. The heat is so intensified due to its smaller size, food gets hot faster and cooks much faster too. I enjoy soft creamy grits some mornings in 30-45 minutes. I buy Boston butts when on sale and have them cut in half to freeze one/cook one… a half fits perfectly into the mini pot and in a couple of hours, I have my own Eastern North Carolina pulled pork BBQ! The portions are perfect for a couple of folks and you won’t end up with lots of leftovers (but maybe just enough to throw together a mini crock pot of soup). I’m not sure all the places you can get them, but I picked up both of mine at thrift stores… one for $3 and the other was $7. And I recently gifted one to my “other mother” from Roses for $12! You can’t beat that…. and they are a great inexpensive Christmas gift for singles, couples and seniors that aren’t able to stand and do much cooking anymore. You can even pair up with a grocery store gift card if you want to help someone on a fixed income at holiday time! And for you single and couple campers out there, a mini is a must-have. 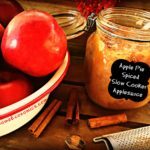 So without further adieu I give you my delicious slow cooker applesauce! Happy Sauce’n and Happy Fall y’all! 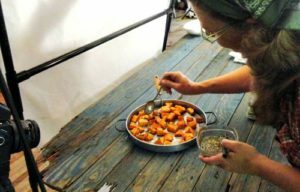 Please be sure to share my recipe and blog with friends, and thanks! Fall is here, and so are North Carolina apples! Some are better for applesauce than others, so be sure to ask at the farmers market or do a quick online search to get just the right ones. We like to leave half the peel on for a chunkier sauce, but peel them all if preferred. Add apples, water and salt to slow cooker. Stir and cover. Cook on high about 2 hours or low about 5 hours until tender. Leave chunky, or puree with an immersion blender for smooth sauce. Taste for sweetness and add sugar as needed. Dust with apple pie spice. Serve warm or chilled. Great alongside pork and chicken or stirred into your morning oatmeal or yogurt. Perfect for lunchboxes too!! Spice: Use cinnamon or any sort of "baking" spice you like such as pumpkin pie spices. I love to use the George Peach Spice blend from Savory Spice Shop! Variation: Use half apples and half pears for a wonderful apple-pear sauce. « What time is it? Muscadine time….